Carabao Cup Quarter-Final. Kick-off: 7.45pm, Tuesday 18th December. 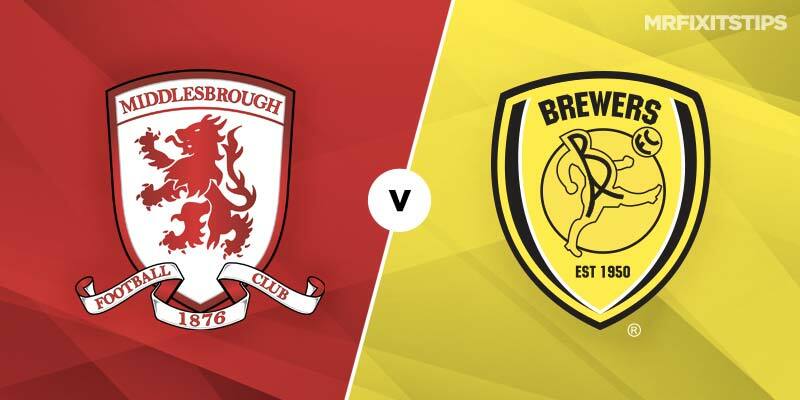 NIGEL CLOUGH'S Burton Albion have been the story of the Carabao Cup this season and all the neutrals will be hoping their adventure continues into the semi-finals. After knocking out Aston Villa, Burnley and Nottingham Forest, the League One side certainly won't have an inferiority complex against Tony Pulis' Boro men. But the bookies believe this will be a step too far for Clough's side, who sit 15th in League One after losing three of their last four games. They are 7/1 outsiders for a win at the Riverside, with Middlesbrough 4/11 with 888 Sport and the draw 18/5. The surprise cup run may have been a factor in those poor league results with Burton Albion's players perhaps having one eye on this tie. Middlesbrough's recent form has also been disappointing, taking just two points from their last four games in the Championship, and Pulis will be hoping a cup triumph can spark their promotion push back to life. That should ensure he fields a strong side but Middlesbrough have never been prolific scorers and I like the look of under 2.5 match goals at 27/25 with 888 Sport. Backing Boro to win without conceding also looks a decent option at 6/5. Striker Jordan Hugill could be the man to deliver for Middlesbrough and he's 3/1 to break the deadlock and evens to net at any time with 888 Sport. Young Boro winger Marcus Tavernier is always a threat but hasn't been starting in recent games. He could still be a good shout for anytime scorer at 43/20. Burton Albion's top striker Liam Boyce is a doubt for this one after picking up a thigh injury in the weekend defeat to Fleetwood Town. Winger David Templeton and midfielder Scott Fraser are also fighting to be ready after picking up knocks in the same game. So it may be best to stay clear of them if you are looking for an Albion player in the goalscorer markets. Striker Lucas Akins, who netted in the recent defeat by Charlton, may be their best option if Boyce is ruled out. He's 11/1 to score first and 4/1 to net at any time in the 90 minutes.